Storch, Anne (ed.). 2017. Consensus and dissent. Negotiating emotions in the public space. Amsterdam: Benjamins. Storch, Anne. 2014. A Grammar of Luwo. An Anthropological Approach. Amsterdam: Benjamins. Storch, Anne. 2011. Secret Manipulations. New York: Oxford University Press. African languages, in particular Benue-Congo, Nilotic and the Atlantic area. Fieldwork in Nigeria, Sudan, Uganda, Jamaica, Qatar, South Africa. My research combines cultural and social contexts and histories of languages, the semiotics of linguistic practices, epistemes and ontologies of colonial linguistics, but also linguistic description. I have contributed widely to the analysis, description and documentation of registers and choices, and focus on African languages not as systems and discrete entities, but as social practice, ways of speaking and parts of flexible and complex repertoires. I’m particularly interested in epistemic language, local metalinguistic knowledges, indirect communication, meaningful noise and silence. More recently, I have developed a research interest in the field of Critical Heritage Studies, exploring what makes languages part of ’intangible heritage’, associates them with emotion, prestige, and symbolic wealth. 1987–1994 Student of African Linguistics, Historical Anthropology, Archaeology at the Johann Wolfgang Goethe University in Frankfurt upon Main, student of African Studies, Oriental Studies, Archaeology, Anthropology at the Gutenberg-University in Mainz; Master of Arts in Frankfurt, Thesis: Die Anlautpermutation in den westatlantischen Sprachen. 1995-1999 Research fellow at the German Research Society interdisciplinary joint research project 268 ‘Kulturentwicklung und Sprachgeschichte im Naturraum Westafrikanische Savanne’, University of Frankfurt, Prof. Dr. H. Jungraithmayr. 2015 Workshop "Exploring the Senses"
Storch, Anne & Ingo H. Warnke. Forthcoming. Sansibarzone. Eine Austreibung. Storch, Anne. Forthcoming. Deep Meta. Language seen in a different way. Nassenstein, Nico & Anne Storch. Forthcoming. Metasexting. Mietzner, Angelika & Anne Storch. Forthcoming. Tourination. Nassenstein, Nico & Anne Storch. Forthcoming. Café Senegales. Storch, Anne, Alexandra Aikhenvald & Ana Deumert. Forthcoming. What Linguists Do in the Field. Cambridge University Press. Lüpke, Friederike & Anne Storch 2013. 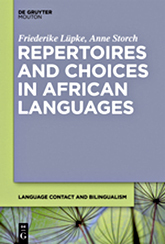 Repertoires and Choices in African Languages. Berlin: Mouton De Gruyter. Storch, Anne. 2005. The Noun Morphology of Western Nilotic. Cologne: Köppe. Jungraithmayr, Herrmann, Wilhelm J.G. Möhlig & Anne Storch 2004. Lehrbuch der Hausa-Sprache. Cologne: Köppe. Dinslage, Sabine & Anne Storch 2000. Magic and Gender. Cologne: Köppe. Storch, Anne. 1999. Das Hone und seine Stellung im Zentral-Jukunoid. Cologne: Köppe. Storch, Anne. 1995. Die Anlautpermutation in den westatlantischen Sprachen. Frankfurter Afrikanistische Blätter, special issue 2. Aikhenvald, Alexandra, Andrea Hollington, Nico Nassenstein & Anne Storch (eds.). Forthcoming. Secrecy and Linguistic Creativity. Special issue of International Journal of Language and Culture. Deumert, Ana, Nick Shepherd & Anne Storch (eds.). Forthcoming. Colonial Linguistics. Oxford: Oxford University Press. Mietzner, Angelika & Anne Storch (eds.). Forthcoming. Entanglements, Emblematic Codes and Languaging in Tourism. Tourism and Cultural Change. Bristol: Channel View. Nassenstein, Nico & Anne Storch (eds.). Forthcoming. Swearing and Cursing. Nassenstein, Nico, Anne Storch & Andrea Hollington (eds.). Forthcoming. Critical Studies in Youth Languages. The Mouth 3. Anne Storch & Jules Jacques Coly (eds.). 2017. Pluractional verbs and verbal plurals in African languages. STUF special issue. Berlin: Mouton De Gruyter. Hollington, Andrea & Anne Storch (eds.). 2016. Language ideologies. Special Issue of Critical Multilingualism Studies. Storch, Anne & Mietzner, Angelika (eds.). 2015. Nilo-Saharan Models and Description. Cologne: Köppe. Storch, Anne & Gerrit J. Dimmendaal (eds.). 2014. Number: Constructions and Semantics. Case studies from Africa, India, Amazonia & Oceania. Amsterdam: Benjamins. Harnischfeger, Johannes, Rudolf Leger & Anne Storch (eds.). 2014. Fading Delimitations. Multilingual Settlements in a Convergence Area. Cologne: Köppe. Aikhenvald, Alexandra Y. & Anne Storch (eds.). 2013. Perception and Cognition in Language and Culture. Amsterdam: Brill. 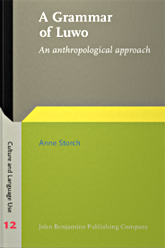 Storch, Anne, Roger M. Blench & Gratien Atindogbe (eds.). 2011. Copy Pronouns. Cologne: Köppe. Storch, Anne (ed.). 2007. W.A.A. Wilson: Guinea Languages of the Atlantic Group. Frankfurt: Lang. Abu-Manga, Al-Amin, Leoma Gilley & Anne Storch (eds.). 2006. Insights into Nilo-Saharan Language, History and Culture. Proceedings of the IX. Nilo-Saharan Linguistics Colloquium, Khartoum. Cologne: Köppe. Kastenholz, Raimund & Anne Storch (eds.). 2004. Sprache und Wissen in Afrika: Beiträge zum 15. Afrikanistentag. Cologne: Köppe. Storch, Anne & Rudolf Leger (eds.). 2004. Einführung in die afrikanistische Feldforschung. Cologne: Köppe. Storch, Anne & Antje Meißner (eds.). 2000. Nominal Classification in African Languages. Cologne: Köppe. Storch, Anne. Forthcoming. The idea of a yell. On metapragmatic discourse. In Aikhenvald, Alexandra, Andrea Hollington, Nico Nassenstein & Anne Storch (eds. ), Secrecy and Linguistic Creativity. 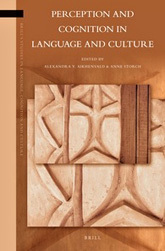 Special issue of International Journal of Language and Culture. Storch, Anne. Forthcoming. Aesthetics of the Obscure: Swearing as horrible play. In Nassenstein, Nico & Anne Storch (eds. ), Swearing and Cursing. Storch, Anne. Forthcoming. Silencing youth. In Nassenstein, Nico, Anne Storch & Andrea Hollington (eds. ), Critical Studies in Youth Languages. The Mouth 3. Storch, Anne. Forthcoming. Heritage tourism and the freak show. A study on names, horror, race and gender. In Mietzner, Angelika & Anne Storch (eds.). Forthcoming. Entanglements, Emblematic Codes and Languaging in Tourism. Tourism and Cultural Change. Bristol: Channel View. Storch, Anne. Forthcoming. Accomplished works and facts. The family tree project of Africanistics. In Deumert, Ana, Nick Shepherd & Anne Storch (eds. ), Colonial Linguistics. Oxford: Oxford University Press. Storch, Anne & Janine Traber. Forthcoming. Quick encounters. In Sandra Kurfürst & Martin Zillinger (eds. ), Communities of Practice. Mietzner, Angelika & Anne Storch. Forthcoming. Everyday rituals: On describing language, and on being indirect in Nilotic. In Helga Schröder (ed. ), Proceedings of NISA. Cologne: Köppe. Nassenstein, Nico & Anne Storch. Forthcoming. Balamane. Variations on a Ground. In Ingo H. Warnke & Elisa Erbe (eds. ), Macht im Widerspruch. Coly, Jules Jacques, Anne Storch & Sophie Wade. Forthcoming. Secret languages in Atlantic. In Lüpke, Friederike (ed. ), Handbook of Atlantic Languages. Oxford: Oxford University Press. Deumert, Ana & Anne Storch. Forthcoming. Language as world heritage? Critical perspectives on language-as-archive. In Natsuko Akagawa & Laurajane Smith (eds. ), Intangible Heritage. Oxon – New York: Routledge. Storch, Anne. 2018. Linguistic landscapes of tourism – A case study from Zanzibar. In Klaus Beyer, Gertrud Boden, Bernhard Köhler, Ulrike Zoch (eds. ), 40 Jahre Afrikanistik. Cologne: Köppe. Storch, Anne. 2018. Evidentials in African languages. In Alexandra Y. Aikhenvald (ed. ), The Oxford Handbook of Evidentiality, pp. 610-628. Oxford: Oxford University Press. Storch, Anne. 2018. Gewissheit und Geheimnis. In Birte Kellermeyer-Rehbein, Matthias Schulz & Doris Stolberg (eds. ): Sprachgebrauch, Sprachkonzepte und Sprachenpolitik in kolonialen und postkolonialen Kontexten, pp. 105-125. Berlin: De Gruyter. Storch, Anne. 2018. Ruination and amusement – dialect, youth and revolution in Naija. In Reem Bassiouney (ed. ), Identity and Dialect Performance, pp. 303-320. Oxon – New York: Routledge. Storch, Anne. 2017. Typology of secret languages and linguistic taboos. In Alexandra Y. Aikhenvald & R.M.W. Dixon (eds. ), The Cambridge Handbook of Linguistic Typology, pp. 287-322. Cambridge: Cambridge University Press. Storch, Anne. 2017. Emotional edgelands. In Anne Storch (ed. ), Consensus and Dissent: Negotiating emotion in the public space. Amsterdam: Benjamins. Coly, Jules Jacques & Anne Storch. 2017. Semantics of number marking in Maaka. In Storch, Anne & Jules Jacques Coly (eds. ), Pluractional verbs and verbal plurals in African languages. STUF special issue: 51-72. Berlin: Mouton De Gruyter. Storch, Anne. 2016. Sprachideologien in kolonialen Kontexten. In Thomas Stolz, Ingo H. Warnke & Daniel Schmidt-Brücken (eds. ), Sprache und Kolonialismus, pp. 147-168. Berlin: Mouton de Gruyter. Storch, Anne & Gerrit Dimmendaal. 2016. Niger-Congo: A brief state of the art. In Sarah Grey Thomason (ed. ), Oxford Handbooks Online in Linguistics. New York: Oxford University Press. Storch, Anne. 2015. Metababble. Voices from around the world. Hollington, Andrea, Nico Nassenstein & Anne Storch. Submitted. Linguistic outtakes: ideologies of the unpleasant and the incomprehensible in language. In Christoph Neuenschwandner & Laura Tresch (eds. ), Through the Lens of Ideology: Debates on Language Contact. Amsterdam: Benjamins. Storch, Anne. 2015. Linguistic etiquette in a frontier situation: a case study from Chopi. In A. Mietzner & A. Storch (eds. ), Nilo-Saharan Languages: Description and Modelling. Cologne: Köppe. Storch, Anne. 2014b. Counting chickens in Luwo. In A. Storch & G.J. Dimmendaal (eds. ), Number: Constructions and Semantics. Case studies from Africa, India, Amazonia & Oceania, pp. 265-281. Amsterdam: Benjamins. Storch, Anne. 2014a. 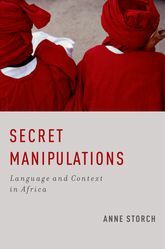 Don’t get me wrong here, but I think I may have seen this: knowledge, concealment and perception in Maaka. In J. Harnischfeger, R. Leger & A. Storch (eds. ), Fading Delimitations. Cologne: Köppe. Storch, Anne. 2013b. Knowing, smelling and telling tales in Luwo. In A.Y. Aikhenvald & A. Storch (eds. ), Perception and Cognition in Language and Culture, pp. 47-68. Leiden: Brill. Storch, Anne. 2013a. Possession in Hone. In A.Y. Aikhenvald & R.M.W. Dixon (eds. ), Possession and Ownership, pp. 208-223. Oxford: Oxford University Press. Storch, Anne. 2011. Ritual Pathways: Contact in a Framework of Difference, Imitation and Alterity. In O. Hieda, C. König & H. Nakagawa (eds. ), Geographical Typology and Linguistic Areas, pp. 213-232. Amsterdam: Benjamins. Storch, Anne. 2010b. Failing literacy? On the meaning of writing. In P. Zima (ed. ), Oracy and Literacy, pp. 265–283. Munich: Lincom. Storch, Anne. 2010a. Morphosyntax of Luwo. In O. Hieda (ed. ), Descriptive Studies of Nilotic Morphosyntax, pp. 1-27. Tokyo. Storch, Anne. 2009c. Cultured contact: ritualisation and semantics in Jukun. In W.J.G Möhlig, M. Seifert & F. Seidel (eds. ), Language Contact, Language Change and History based on Language Sources in Africa, pp. 297–319. Cologne: Köppe. Storch, Anne. 2009b. Hone (Jukun). In G. Dimmendaal (ed. ), Coding Participant Marking. Construction Types in Twelve African Languages, pp. 123-140. Amsterdam: Benjamins. Storch, Anne. 2009a. Negation in Jukun. In N. Cyffer, E. Ebermann & G. Ziegelmeyer (eds. ), Negation Patterns in West African Languages and Beyond, pp. 107-120. Amsterdam: Benjamins. Storch, Anne. 2007b. Grammatical permeability and emblematic features: On contact-induced grammatical change in Western Nilotic. In D.L. Payne & J. Pena (eds. ), Selected Proceedings of the 37th Annual Conference of African Linguistics, pp. 1-15. Somerville: Cascadilla. Storch, Anne. 2007a. Sprachentstehung und Spracherfindung. In H. Düringer, H. Meisinger & W.-R. Schmidt (eds. ), Der etwas andere Blick auf die Schöpfung. Interdisziplinäre Versuche im Dialog zwischen Naturwissenschaft und Religion. Frankfurt am Main: Haag + Herchen. Storch, Anne. 2006. How long do linguistic areas last? Western Nilotic grammars in contact. In A.Y. Aikhenvald, & R.M.W. Dixon (eds. ), Grammars in Contact, pp. 67-93. Oxford: Oxford University Press. Storch, Anne. 2004c. Beschreibung einer sterbenden Sprache – Feldforschung zum Hone (Nordostnigeria). Ein Plädoyer. In A. Storch & R. Leger (eds. ), Einführung in die afrikanistische Feldforschung, pp. 125-142. Cologne: Köppe. Storch, Anne. 2004b. Praxis und Ethik der Feldforschung. Was ins Gepäck gehört. In A. Storch & R. Leger (eds. ), Einführung in die afrikanistische Feldforschung, pp. 17-30. Cologne: Köppe. Storch, Anne. 2004a. Zur Typologie der Wortklassen im Hone (Jukun). In R. Kastenholz & A. Storch (eds. ), Sprache und Wissen in Afrika: Beiträge zum 15. Afrikanistentag, pp. 245-262. Cologne: Köppe. Storch, Anne. 1998. „Mond“, „Sonne“, „Sonne und Mond“, „Sterne“. In J.W.G. Möhlig & H. Jungraithmayr (eds. ), Lexikon der afrikanistischen Erzählforschung, Cologne: Köppe. Storch, Anne & Rainer Voßen. 2007. Odours and colours in Nilotic: comparative case studies. In D. Payne & M. Reh (eds. ), Advances in Nilo-Saharan Linguistics, pp. 223-240. Cologne: Köppe. Storch, Anne & Jules Jacques Coly. 2014. The grammar of knowledge in Maaka. In A.Y. Aikhenvald & R.M.W. Dixon (eds. ), The Grammar of Knowledge, pp. 190-208. Oxford: Oxford University Press. Storch, Anne & Gerrit J. Dimmendaal. 2014. One size fits all? On the grammar and semantics of singularity and plurality. In A. Storch & G.J. Dimmendaal (eds. ), Number: Constructions and Semantics. Case studies from Africa, India, Amazonia & Oceania, pp. 1-32. Amsterdam: Benjamins. Jungraithmayr, Herrmann, Anne Storch & Rainer Voßen. 2002. Die Sprachen Westafrikas. In A. Reikat (ed. ), Leben in Westafrika, pp. 126-137. Frankfurt am Main: Plexus. Harnischfeger, Johannes, Rudolf Leger & Anne Storch. 2014. Lower rank greets first. Getting along in multilingual communities. In J. Harnischfeger, R. Leger & A. Storch (eds. ), Fading Delimitations, pp. 1-36. Cologne: Köppe. Storch, Anne. 2017. Small stories. The Mouth 2: 98-117. St. Orch, Angelika, Nico Schneider, Nina Traber, Anne-Janine & Nassenstein M. Ietzner. 2017. A controversial academic journey through camera viewfinders, around debated normaliminalities and reflections on stained mirrors. The Mouth 1: 156-166. Storch, Anne, Angelika Mietzner, Nico Nassenstein, Janine Traber & Nina Schneider. 2017. Malleable words. The Mouth 1: 12-19. Cisse Kane, Fatou & Anne Storch. 2017. Sprache, Migration, Gastfreundschaft. Forschung zu Sprachideologie und Mehrsprachigkeit. ZMI Magazin. Storch, Anne. 2017. At the fringes of language: on the semiotics of noise. In Ana Deumert & Joan Swann (eds. ), The sociolinguistics of everyday linguistic creativity. Language Sciences. Storch, Anne & Christiane Bongartz. 2016. Making sense of the noisy. In Hollington, Andrea & Anne Storch (eds. ), Language ideologies. Special Issue of Critical Multilingualism Studies. Storch, Anne. 2015. How the West Was Won: Ways of Making History in Hone (Jukun, Nigeria). In J. Adelberger & R. Leger (eds. ), Language, History and Reconstructions. Frankfurter Afrikanistische Blätter 18. Cologne: Köppe. Storch, Anne. 2011. Grammatical categories of the noun in Chopi. Studies in Nilotic Linguistics 3 : 37-51. Storch, Anne. 2004. Haptische, visuelle und olfaktorische Sprachen: Westnilotische Wahrnehmungen. Afrikanistik Aegyptologie Online. Storch, Anne. 2003b. Dynamics of interacting populations: Language contact in Bahr el-Ghazal. Studies in African Linguistics 32.1: 65-93. Storch, Anne. 2003a. Layers of Language Contact in Jukun. In P. Zima, J. Jeník & V. Tax (eds. ), Dynamics of Systems, pp. 176-196. Prague: SOFIS. Storch, Anne. 1999. Zur Aspektmarkierung im Jukun. Afrikanistische Arbeitspapiere 58: 107-116. Storch, Anne. 1997. Where have all the noun classes gone? A case study of Jukun. Journal of African Languages and Linguistics 18: 157-170. Storch, Anne. 1996. Die Anlautpermutation im Westatlantischen und das Problem der Implosiva. Afrika und Übersee 79: 111-128. Storch, Anne & Yao Koffi. 2000. Noun Classes and Consonant Alternation in Akebu. Frankfurter Afrikanistische Blätter 12: 79-98. Neumann, Sabine & Anne Storch. 1999. Locative class related affixes in some Benue-Congo languages. Frankfurter Afrikanistische Blätter 11: 83-100. Leger, Rudolf & Anne Storch. 1999. Zur Genese komplexer Vokalsysteme in einigen nordostnigerianischen Sprachen. Afrika und Übersee 82: 161-172. Jungraithmayr, Herrmann, Rudolf Leger, Helmut Satzinger, Anne Storch & Gabor Takács. 2005. „Geschickt arbeiten“ – eine panafrikanische Isoglosse? Zeitschrift der Deutschen Morgenländischen Gesellschaft 154. Heyking, Beatrix von & Anne Storch. 2008. Motion in Northern Lwoo – Luwo and Boor comparative case studies. APAL 5: 89-112. Dinslage, Sabine, Rudolf Leger & Anne Storch. 2000. Space and Gender. Anthropos 95: 121-127. Dinslage, Sabine & Anne Storch. 2002. Zum Funktionswandel oraler Texte – Inhalt und Form. Zeitschrift der Deutschen Morgenländischen Gesellschaft 152.2: 241-252. Dinslage, Sabine & Anne Storch. 2000. Gender and Magic in Jukun Folktales. Estudos Literature Oral 5: 151-160. Dinslage, Sabine & Anne Storch. 1997. In dieser Welt verstehen unsere Kinder unsere Sprache nicht mehr. Die Hone-Jukun in Pindiga. Frankfurter Afrikanistische Blätter 8: 49-79. Storch, Anne. 2015. Being explicitly vague: On interjections and such things in Maaka. In Baldi, Sergio & Gian Claudio Batic (eds. ), Proceedings of the Symposium of West African Languages. Naples. Storch, Anne. 2006. Aspect and evidentiality in Luwo. In A. Abu-Manga, L. Gilley & A. Storch (eds. ), Insights into Nilo-Saharan Language, History and Culture. Proceedings of the IX. Nilo-Saharan Linguistics Colloquium, Khartoum 2004, pp. 393-402. Cologne: Köppe. Storch, Anne. 2005. Traces of a secret language – Circumfixes in Hone (Jukun) plurals. In A. Akinlabi (ed. ), Proceedings of the 4th World Congress of African Linguistics, pp. 337-349. Cologne: Köppe. Im Kölner Universitätsmagazin von Mai 2017 wird über die Forschung zu Sprachpraktiken von Migranten unter den extremen Bedingungen des Massentourismus berichtet.